For some families who struggle to make ends meet, the sights and sounds of the holidays are a source of stress instead of joy. But Treasure Coast Food Bank wants to make sure no one stresses over food this season. The Great Treasure Coast Holiday Food and Fund Drive begins this month so everyone can enjoy traditional holiday dinners as well as stress-free meals throughout the holiday season, and Treasure Coast Food Bank is asking everyone to remember their neighbors in need at home. The season calls for holiday foods such as canned yams, stuffing, and cranberry sauce, but Treasure Coast Food Bank always needs pantry staples, such as peanut butter, pasta, low-sodium canned vegetables, shelf-stable milk, canned meats, beans, and low-sugar cereals. 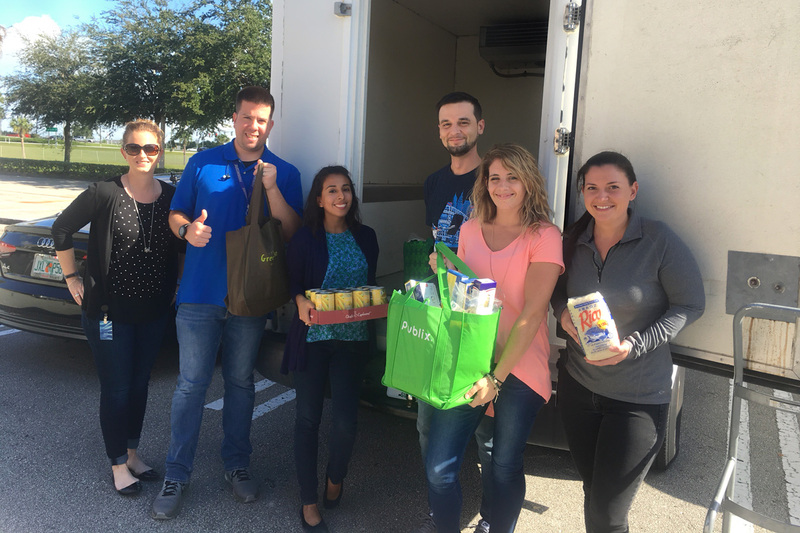 There are several ways to get involved: Organize a food drive in your neighborhood or office, participate in a virtual food drive with a cash donation, or plan to donate a turkey during Treasure Coast Food Bank’s annual Turkey Drop. Turkey Drop takes place on Saturday, Nov. 10 from 10 a.m. to 2 p.m.
Treasure Coast Food Bank also seeks volunteers to help collect turkeys on Turkey Drop Saturday. For more information about volunteering, organizing a food drive or making a donation visit the Ways to Help tab at stophunger.org.